There is a large number of myths that have appeared around SSL certification. Worse still, they may actually discourage you from purchasing SSL security for your site. The knowledge of general public concerning this topic still appears to be quite small. 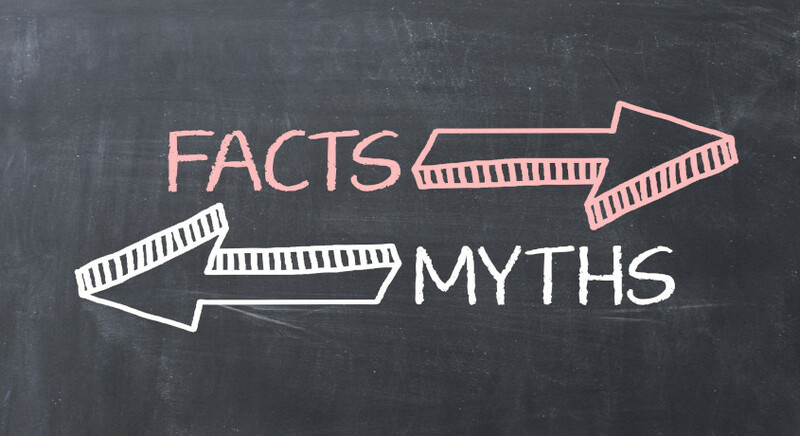 Therefore, we chose four myths that are especially common on the Internet. Our aim here is to dispel any doubts you might have when considering such an investment. Myth #1 SSL certificates are too expensive and generally not worth your money. This has to be one of the most common myths concerning SSL certification. It is an absolute fallacy to believe that SSL certification is not worthwhile. A website owner who stores and processes personal data of its users is held responsible for their safety. The cost of not meeting personal data security regulations might be huge – it is said that the fines for this may reach up to 20 million euro. The investment in SSL certification is not only an investment into your user’s security but into your own as well. It is also untrue that such certificates are expensive – for example, check out our offer SSL DV certificates its pricing starts at $4.74 net/ year – Check: Comodo PositiveSSL. Myth #2. SSL certificates are for large companies only. The belief that only large companies fall victim to network attacks is untrue. In fact, th websites of smaller companies or shops are being attacked more and more frequently at the moment. It is often because their owners believe their enterprises are not large enough to require SSL protection. Hackers succeed at exploiting the low awareness of the risks brought about by the lack of encrypted conection. Do you have an online store Check oout out offer for the cheapest SSL EV certificates (The SSL certificates with a green bar). The cheapest are available for as little as $80.85 net/year! Check: Comodo PositiveSSL EV. Myth#3. It’s too complicated and too much effort to bother. It is also false that the introduction of an SSL certificate is complicated or requires specific knowledge or skills. This is basically a simple thing to do. After generating a certificate signature request for a server, you only have to choose one of our certificates, and you will receive the rest of the necessary data via e-mail. The waiting time for a certificate usually depends on what you have chosen – you can get the most basic certificates rather quickly – within minutes. The whole procedure is quite pleasant and simple then, and it definitely does not require you to have any professional IT knowledge. Should you have any wuestions still, you can always contact our user-friendly assistance departament. Myth #4. SSL certificates do not guarantee security. We do not know the source of such a conviction among Internet users, but it definitely false. If you keep an adequate SSL certificate, there is virtually no chance the data transferred using an encrypted connection will ever be intercepted. It is, therefore, the most reasonable way tosecure your website. What you have to be aware of, however, is that you need to choose the proper SSL certificate type – various websites have different requirements when it comes to data protection. The means of security that you require are different for a page that stores users’ names, surnames and e-mail addresses, and way more restrictive, when you need to prove protection for an online store that is designed to process payments and other money operatons. You should also keep in mind that while SSL certificates encrypt your connection, it is up to you to protect the website from unauthorised access – you have to make sure that the passwords are stored in safe conditions and that all of your scripts are up-to-date. As a result of these four myths, many website owners put their users in constant danger of their personal data being stolen. There are still online stores that do not employ any connection encryption methods simultaneously running the risk of confidential data including, debit card numbers, places of residence, names, or surnames of their customers falling into the hands of unauthorised individuals. The fact that online customers and Internet users are becoming more and more safety-aware inevitably means that ebsite and online store owners offering goods and services to public must become more safety-aware as well. By providing the encryption of Internet connection, you build your customers’ trust and keep yourself clear off the grave consequences of not protecting personal data.